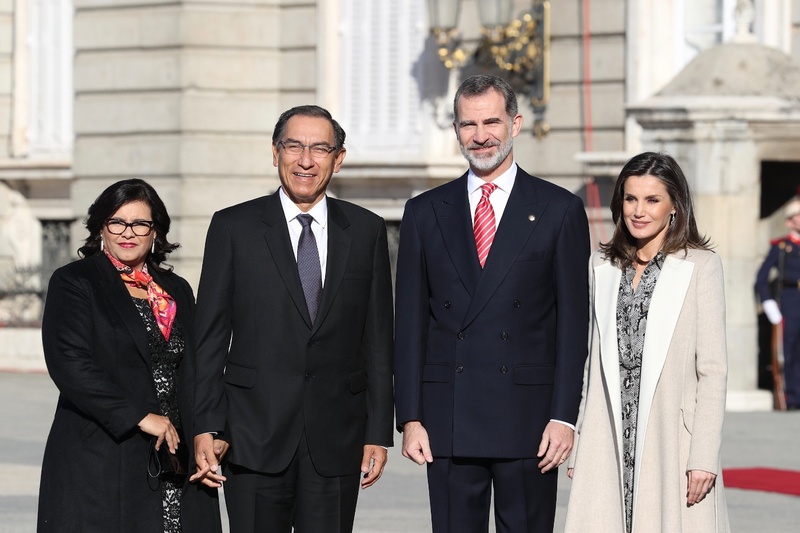 Today, King Felipe and Queen Letizia of Spain welcomed the Peru President Martín Alberto Vizcarra Cornejo and his wife First Lady Mrs. Maribel Díaz Cabello at the Royal Palace of Madrid. 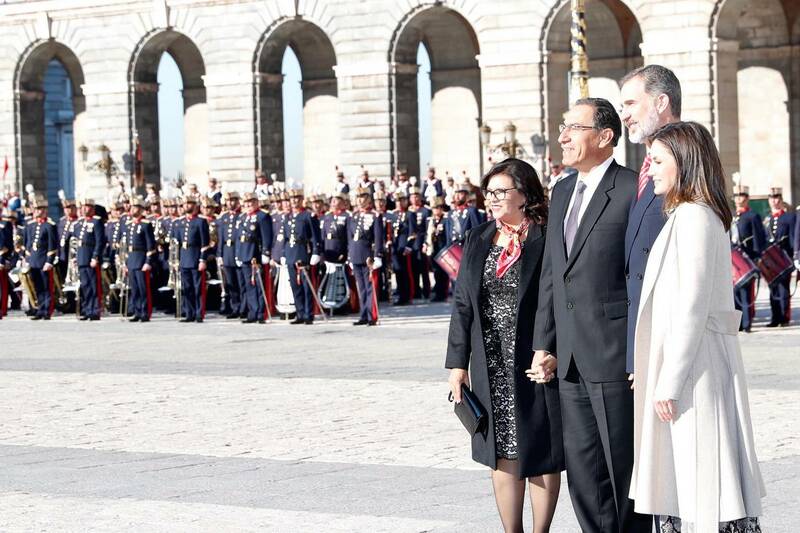 The Peru President and First Lady are in Spain for their two days State Visit. The visit is to strengthen bilateral relations between both countries, coinciding with the inauguration of the 38th edition of the International Contemporary Art Fair -ARCOmadrid, of which Peru is a guest country. 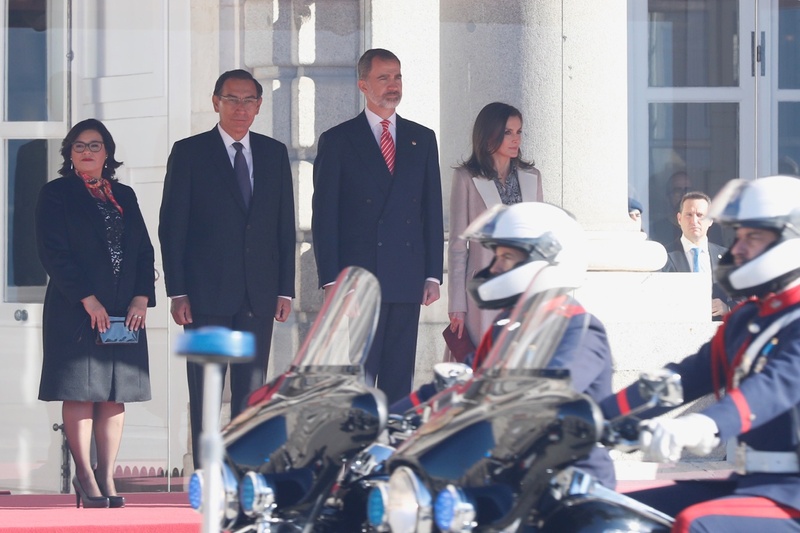 If you remember the Spanish Royal couple paid a state visit to Peru in November 2018. 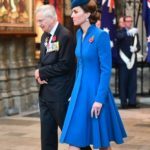 Upon arrival at Palace, Couple was received by the King and Queen in Palace courtyard followed by the official welcome ceremony. During the ceremony, the National Anthems of both countries were performed under salutes of 21 guns. 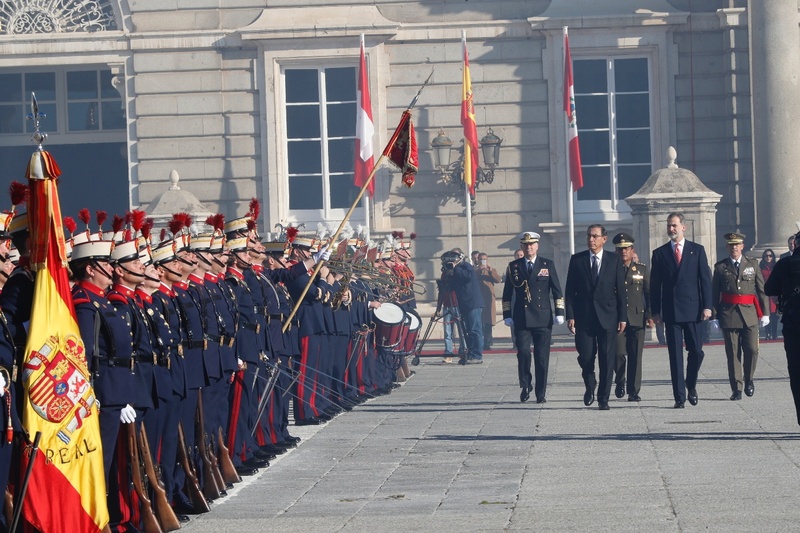 King Felipe and the Peruvian President reviewed a battalion of the Royal Guard. A video of the welcome ceremony. After the greeting of the respective official delegations, a parade of the Royal Guard took place. Then King and President held a short meeting inside the Palace. 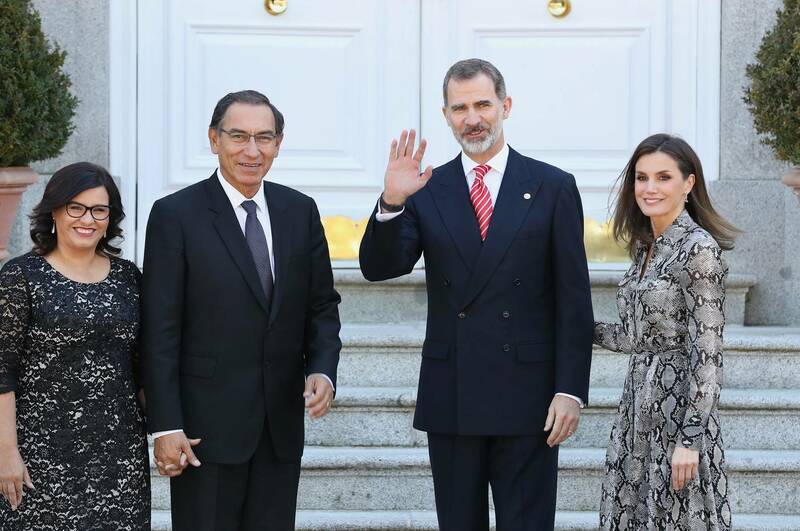 King and Queen with Peru President and First Lady after official photo call. A video of the official photo call. 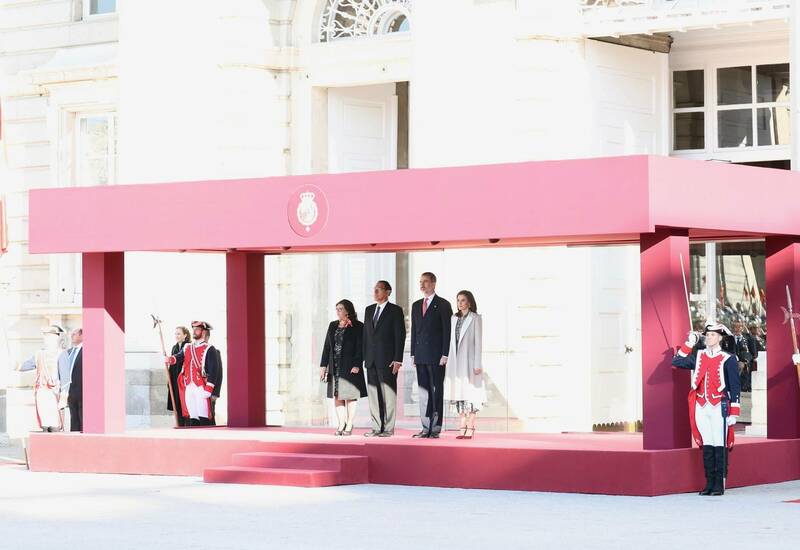 For the welcome ceremony, Queen Letizia chose a very elegant but understated look. She was wearing her off-white Carolina Herrera coat with flaps and belt. She has coat in her wardrobe for a long time. 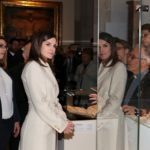 Underneath the coat, Letizia wore a new dress from Spanish label Massimo Dutti. She was wearing €99.95 Snakeskin Print Dress with Tie Belt. 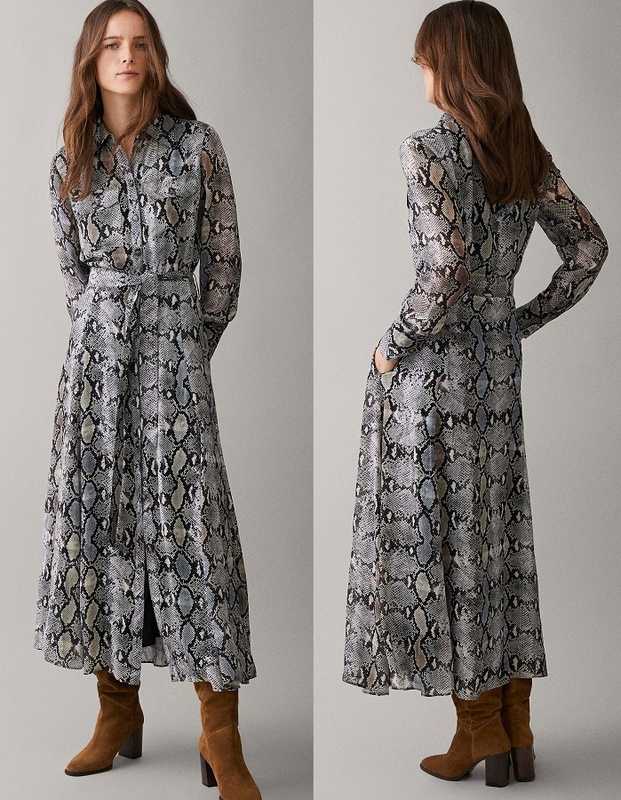 Snakeskin print dress features buttoned flap chest patch pockets and a tie belt. 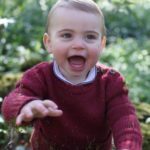 It has an A-line silhouette with a Kent collar, front button fastening, two side pockets, long sleeves with three-button cuffs and lining. 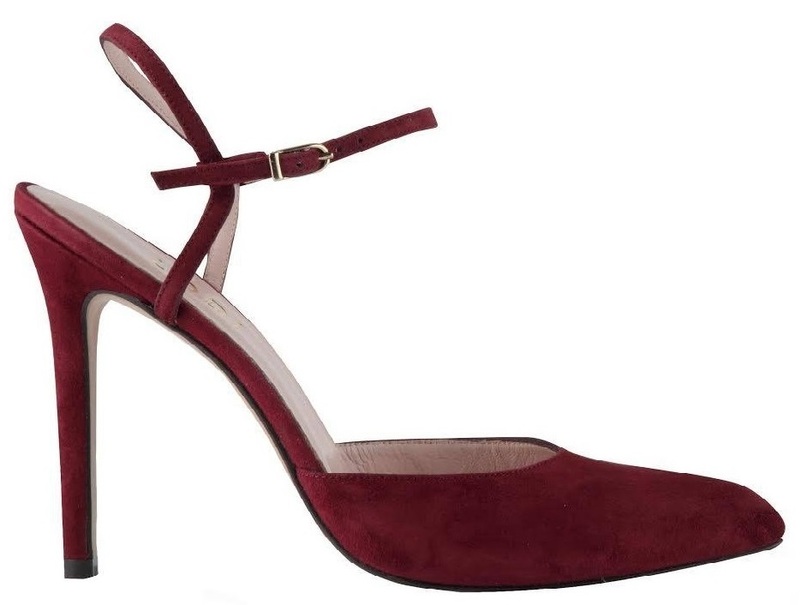 Queen paired the dress with burgundy Lodi Debra Pumps. 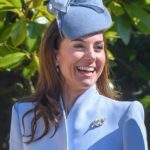 Letizia finished her look with her diamond and ruby earrings belonging to her Mother-in-Law, we have seen them in past many times. 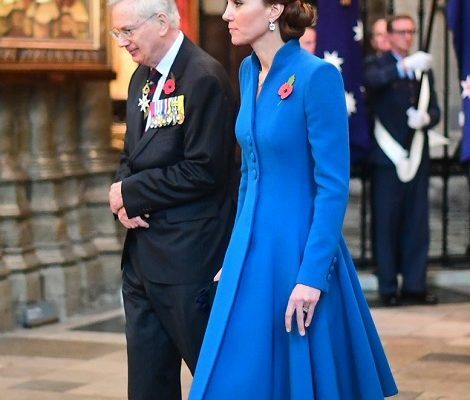 Embed from Getty ImagesQueen was carrying her red suede Magrit Kares Clutch bag. 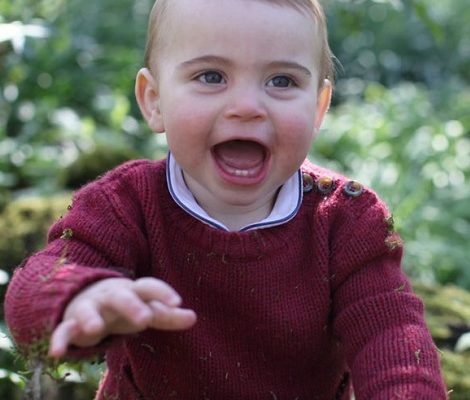 In the evening Felipe and Letizia will host a gala dinner in the honour of Peru President and First Lady.